We all know that we should drink more water every day. Here are fourteen ways for how you can make habits to start drinking more water. You're not going to drink water if you don't have it nearby! Always have a glass, cup, or bottle of water within easy reach while you're working or relaxing. This lets drinking water become more compulsive because the water is visible and right there. You may find yourself drinking without even thinking about it. Having more drinking water nearby also makes it less interruptive. There have been many times that I wanted to drink more water while working, but I skipped because I did not have any water with me and did not want to break my focus by leaving to get water. Do you like drinking from plastic, metal, or glass? Wide open top, or narrow opening? Do you prefer a straw or spout? Find something easily washable that makes your water-drinking experience easy. I hate drinking out of metal because I can taste the metal. I also don't like narrow openings. Many people, like my wife Jenny, will drink more through a straw. So find a water bottle, glass, or cup that works for you. To help drinking water to be even more accessible and even less interruptive, always have a big cup or bottle for drinking. The average glass holds about twelve ounces of water (without ice) and the average bottled water is 16–20 ounces. Find something even bigger! I have a thirty-two-ounce water bottle I often use. Two of these equal half a gallon (which was about how much I would drink during a single karate training class). Having that much water available means fewer interruptions to refill, and I also don't have a subconscious need to ration my water. Whether you're eating a meal or just snacking, drink water with it. For meals, it's good to drink before, during, and after the meal. This makes it easy to drink up to three glasses per meal. In a day, that would be up to nine glasses, which is probably much more water than you normally drink. Try to drink a full glass with any snack—even if it's just a candy bar. Drinking more water also helps your body fill up on water instead of food. Many times you feel hungry, your body is actually thirsty. So drinking more water with food will help you eat less and thus lose more weight. Did you finish a phone call, send off an email, read an article, watch a video, or any other important or casual task? Take a sip or two before moving on. More water helps our brains and bodies function better, so you may not need that afternoon caffeine or sugar boost. The SMART goals acronym was originally presented by George Doran, Arthur Miller, and James Cunningham in “There's a S. M. A. R. T. way to write management goals and objectives” from the November, 1981 issue of Management Review. Since then, “SMART” has come to stand for multiple things, but here is how you can make SMART goals to help you drink more water. Specific—How many glasses, bottles, or ounces of water will you drink in a day? Measurable—How will you know whether you drank enough water or even how much you're drinking? Attainable—Is it possible for you to drink as much water as you want? What must you do to make it possible? Relevant—What will make drinking more water important to you? Your health, energy, focus, or something else? Time-based—When is your deadline for your daily water-drinking goal? How much water should you have drunk by noon, by dinner, and by bed time? You don't have to get formal with these goals, but making them SMART will help you better develop a plan to drink more water. Sometimes, drinking water is uncomfortable simply because of the temperature. Maybe lukewarm water has a bad taste to you. Cold water is difficult to guzzle. Room-temperature water is the best for your throat and voice. But maybe your ideal temperature is just a few degrees from that. I've found that I like my water to be around 65ºF (about 18ºC). In winter, this is about the room temperature of my home office. In summer, one or two ice cubes per 10 ounces of water sitting for just a couple minutes makes it just right. At the right temperature, the water is refreshing without making me cold or disgusting my mouth. Find what works best for you to drink more water, and not just what you prefer. There are many water flavoring powders and juices out there. Unfortunately, many of these have so much sweetener and artificial ingredients that they counter the health benefits of the water. These additives can also become costly. If you need your water to have a more pleasant flavor, consider using something natural, like lemon, strawberry, lime, cucumber, or something else juicy. Sometimes, even tiny bit of salt can make the water better-tasting. I'm a water snob. I usually hate public water supplies because I can taste the chlorine or other sediments in the water. When it comes to bottled water, there are brands I find acceptable (like Aquafina) and brands I despise (Evian). Some bottled water even tastes dry to me (I'm looking at you, Ice Mountain). Buying bottled water may not be the most economical option for you, but water filtering systems are quite affordable. You can get a filtering water pitcher for under $20 (be kind and refill after every pour!). But this may work against your comfortable temperature if you keep the water in the refrigerator. You can also easily install an on-faucet water filter even more quickly! I even found a personal water bottle with a removable filter. I take this to conferences or anywhere I suspect the water will taste bad. But I can also it it without the filter. Get a durable water bottle that is easily portable. Take it when you go shopping, attend meetings, fly on a plane, drive in the car, and anywhere else you go. These activities can often dehydrate you, so having water with you makes total sense. Make sure you pick a bottle that's comfortable to carry and won't leak. One of my bottles has what looks like a normal hook, but it is a literal pain to hold with my fingers, especially if I'm carrying anything else. Have a glass of water by your bed to drink as soon as you wake up. Not only will this help you become more alert (without caffeine), but it also rehydrates your body from not getting any fluids for the prior eight-or-so hours. Also drink (and then refill) a glass of water before you go to sleep. This prepares your body for the rest ahead, and also helps you wake up more easily because your body will be eager to release that water. Don't be embarrassed if you can't make it through a full night without using the restroom. Just take another drink before you get back into bed. Husbands, there are other benefits to drinking water before bed. I'll let you figure it out. Making good, daily habits doesn't mean you have to go “cold turkey.” There plenty of generally unhealthy beverages we drink throughout the day—coffee, tea, soda, juice, alcohol. Each of these may have some benefits, but water is far better. You don't have to completely cut these drinks from your day (I love sodas, especially anything vanilla-flavored), but try to replace at least one of them with a drink of water. 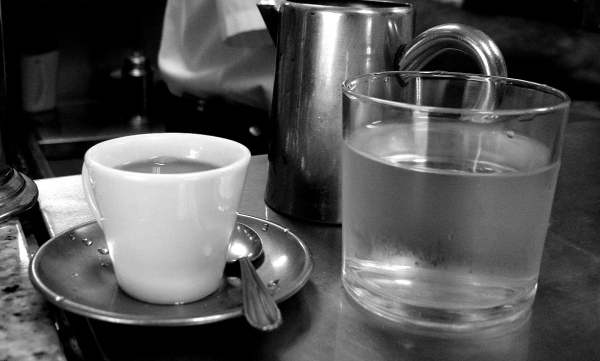 Instead of going for the second cup of coffee, have a glass of water. 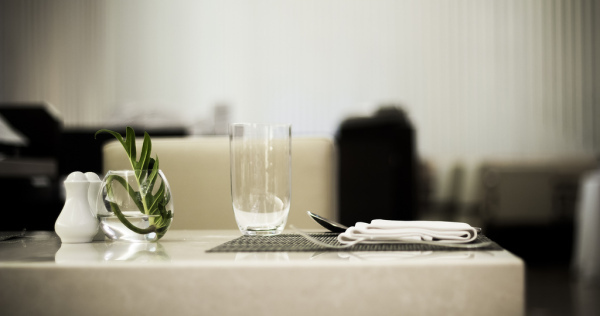 Instead of ordering a soda at the restaurant, drink a full glass of water first. 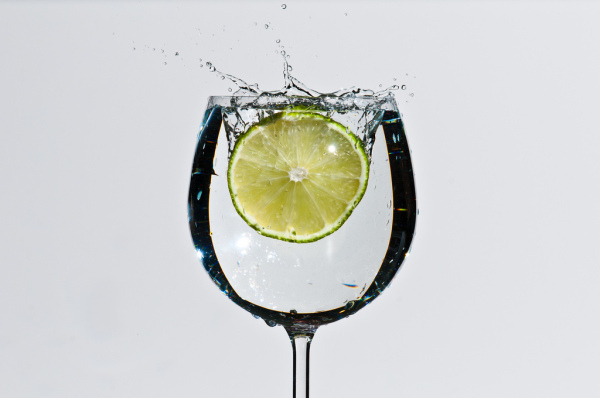 Instead of relaxing with a wine, beer, or other alcoholic beverage, relax with a cup of water (this may also help you drink less alcohol). Here are some different reminders you can use throughout the day to help you drink more water. Use a mobile app that can remind you every hour. Make your watch beep on the hour and drink water then. Schedule recurring, 1-minute appointments throughout your day to drink more water. Wear a necklace with several beads. Move a bead from one end to the other every time you drink a full glass. How do you drink more water? What tips and tricks have helped you to drink more water every day? Please share in the comments below! Google Voice is a communications web and mobile app that can make and receive phone calls, send and receive SMS, transcribe voicemail, and more. Learn more about its features here or watch the video below. Here are five creative ways to use Google Voice for business, hobbies, and home. Google Voice can forward to any other phone number, and it's easy to make call from a Google Voice number through your computer, mobile device, or any other phone. I created a Google Voice phone number for my business, and I have the convenience of answering calls either through my personal wireless phone, or my computer through Gmail/Hangouts. The greatest business feature of Google Voice is the “do not disturb” (DND) feature. This can be enabled on demand, or for any number of minutes, hours, or days. It will not forward Google Voice calls to any of your phones, but send the caller directly to your voicemail inbox. DND is perfect for focus times or preventing business calls in the evenings. You may be a multiphone person: you have a home phone, wireless phone, and work phone. Your Google Voice number can ring all of these phone simultaneously to ensure you don't miss an important phone call. But don't just think about your own phones. You could have a single “family” number that rings your phone and your spouse's phone. If you don't want to continue the conversation from a particular line, press * and you can switch lines. I host several podcasts and love the convenience for my viewers and listeners to send feedback with their own voice. This is especially convenient for celebrities. Google Voice can be set to never forward to another phone number. This will make it function like a 24-hour voicemail system. You can have these messages forwarded to any email address (like your podcast feedback address) so you'll have a rough transcript and the audio recording file. Concerned about giving out your home or wireless phone number to businesses? Make a Google Voice number in your local area code and you'll never have to give away personal, direct numbers. This is also a convenient way of having a local phone number, for the rare case where that actually matters. My wife and I used a Google Voice number when selling our house. That allowed us to also have a custom voicemail greeting to point callers to our house website for more details when we couldn't answer the phone. One of my favorite features of Google Voice is the ability to make a phone call through the Internet. My home office is currently in the lower level of my home, and our home is in a valley. So wireless phone reception isn't always the best. Google Voice solves this by allowing me to conveniently make and receive phone calls through my computer and not have to worry about wireless signal strength. If I need to leave the computer, I just press * to switch the call to my phone. Also, by routing a phone call through your computer, you can easily record the call with several apps and devices. This is great for interviews, or conversations you simply need to document. I've seen some old fear, uncertainty, and doubt (FUD) about Google Voice's future. But I'm quite convinced that—like Celine Dion, World of Warcraft, and the ending of The Lord of the Rings—Google Voice will go on. Here are several quick reasons. Google Voice calling has been integrated into Hangouts, which enables sending and receiving calls in Gmail, Google+, Google+ Hangouts, and YouTube Live / Google+ Hangouts on Air. The Google Voice app for iOS has finally been updated to iOS 7 design standards (the week before iOS 8's release). Considering all of these things, I would not be surprised if the Google Voice service is eventually merged completely into Hangouts, but I'm convinced that the core functionality will remain. How do you use Google Voice? I used to be a diehard fan of Springpad and a hater of Evernote. I was even a guest on the Beyond the To-Do List podcast praising Springpad (although that was shortly after I started my transition). 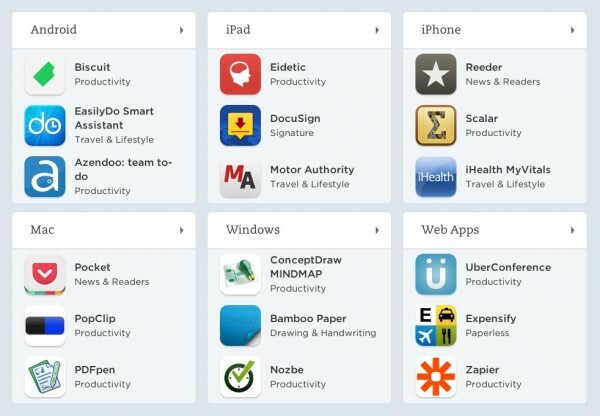 What are Evernote and Springpad? 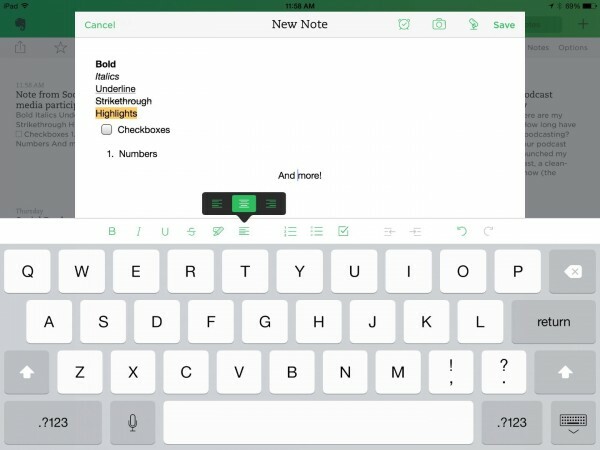 Evernote and the late Springpad were designed to help you remember things. Evernote was simple with notes that could contain text, links, images, and audio. Springpad was a lot more intelligent with note types that could be recipes, products, videos, images, people, and much more. Each Springpad note type could have its own fields, options, and intelligence. For example, I could scan a book's barcode with Springpad and it would load the book's photo, description, best price, and link to Amazon.com. Springpad wanted to be your personal assistant, Evernote wanted to help you remember everything (thus its elephant logo). 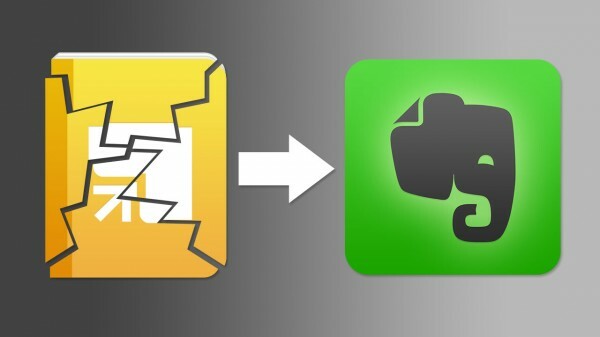 Alan Henry wrote on Lifehacker that you could even use Evernote and Springpad together. But I couldn't settle for having my information in two places, so I made the switch and even upgraded to Evernote Premium. So I switched to Evernote long before Springpad shut down. Here are my reasons for switching and why I use Evernote for managing information. Integration was a huge feature to me. It seemed like everything could integrate with Evernote! If This Then That (IFTTT), email apps, RSS readers, to-do lists, writing apps, and more. Besides integrating with other apps, Evernote could even integrate with my own device better. I was initially creeped out when I started a note at the Mixwest conference and Evernote accurately titled the note “Note from Mixwest” because it had looked at my current calendar event. I was commonly frustrated by Springpad's lack of integration with almost anything. The best Springpad could offer was adding to notebooks via email, which was very limited. A desktop app may not seem that important until you consider features like offline use, quick startup (especially if your browser has to launch a bunch of tabs), and even local search integration (OS X's Spotlight search would search inside Evernote notes). Springpad was web and mobile only. I would either have to visit their website (which logged me out far too often) or use the mobile app. If I was offline, I had no ability to make or access my notes. Rich text formatting (RTF) is something we take for granted in most apps—the ability to bold or italicize something, change to bullets and numbers, indent, color, and more. Depending on your writing style for taking notes, RTF may be necessary for your notes to make any sense. I started using Evernote more seriously because of its RTF. I loved the ability to make bullet points in multiple levels, which made taking conference notes really easy. Springpad used a Markdown hybrid. That could seem great until you think about typing special characters like hyphens and asterisks on a touchscreen keyboard. I liked Springpad for its intelligence and various note types. But this intelligence made things complicated. It was impossible to change a note from one type to another, such as from a book type to a note type, or vice versa. Sometimes, things would be added as the wrong type, which meant having to re-add the note to pick the right type. Evernote keeps things simple. A single note can contain any kind of information, formatted in many ways. A note can have an assigned URL, contain a photo or contact information, or almost anything that I wanted. Adding or searching for notes on Evernote—web, desktop, or mobile app—is fast, even with a massive catalog of notes. But Springpad always seemed sluggish to me, especially on mobile (Android or iOS). It was common for me to delay a group because Springpad was working slowly to add my notes. Springpad could sometimes correctly recognize products from their covers or barcodes, and then enter the title automatically. This was great, but it worked only about half of the time. I actually had a progression of backup methods for adding things—scan the barcode; if that didn't work, then search for the product; if that didn't work, add the product manually. Evernote simplifies this and just works. Although I wouldn't get the luxury of scanning barcodes and automatically entering text, Evernote could take a picture and make the text in that picture searchable—even for handwriting! If you need to organize and remember stuff, try Evernote! 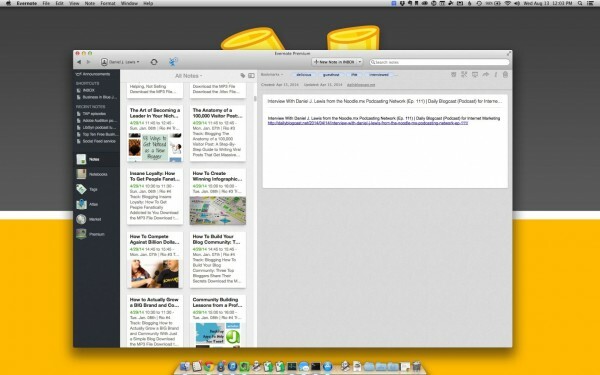 I like to describe Evernote as a blank canvas. You can create whatever “art” of information you want—plain text, bookmarks, photos, files. You can now attach reminders to any of these. Evernote has a lot to offer, so try it today! If you find it really useful, as I did, upgrade to get more storage, security, and more.